Step 1 - Review Cart. You may add More Classes, add Class Cards or click Next. Step 2 - Payment Information. Enter your payment information and click Next. Your credit card will NOT be charged at this point! NOTE FOR SUMMER REGISTRATION: Even though payment for summer camps/classes is not due until June 1, you MUST complete all 3 steps to be registered. Your registration will not be saved unless you complete step 3! Step 3 - Approve & Finish. Agree to the terms and click Accept. NOTE FOR SUMMER REGISTRATION: Even though your balance is 0, you must still press Accept to finish your enrollment! Enrollment is not complete until you click Accept. If you do not click Accept all classes will be dropped. You will receive an email confirmation verifying your registration payment. 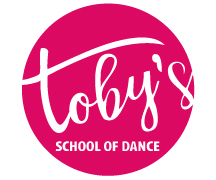 Already Registered with Toby's School of Dance? New to Toby's School of Dance? If you have taken classes before with Toby's School of Dance and you have given us your e-mail address, try the forgot your password link. If not, please contact the office to give us your e-mail address and to set your password.